Do you want to check the POLAC shortlisted candidates 2018 list? 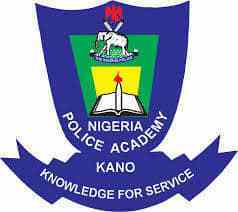 The Nigerian Police Academy was established back in the 1980's but became a degree awarding institution in the year 2012. It is recognized by the NUC as the 37th federal university, and the 124th university in Nigeria. So far, this academy has been able to graduate many ASP and inspector cadets. 10 of these cadets are form Sierra Leone and Gambia. So far, the Nigerian Police Academy has graduated their first set of ASP cadets. Please note that the POLAC form 2018 has closed. Though the POLAC result was not released, they have already released the names of candidates eligible for the screening process. This is the stage where they text you mentally, physically and socially. The best applicants will be admitted into the Academy and each state is entitled to 12 cadets each. 5 credits in SSCE including mathematics and English. must pass the entrance examination and selection process. In the selection process, there is a stage which is called the medical screening stage. This is when you are tested for illnesses, drug abuse possibilities, smoking, and so on. Is the POLAC shortlisted candidate 2018 list out? The Nigerian Police Academy admission list is not out yet. But you can subscribe to this sites push notification to get the list directly to your phone for free immediately it is released. The POLAC screening will start early November and the shortlisted candidates will be called in batches which is based on state of origin of the candidate. Please note that out of the 40 shortlisted candidates for the screening exercise, only 12 of them will be admitted into POLAC from each state. All the courses offered in this university have a duration of 5 years. But one of the advantage of schooling in this university is that you will get an auto employment from the Nigerian police force the moment you pass-out and will be awarded the rank of Assistant superintendent of police. Though getting admission into POLAC is difficult because of the high level of competition, please don't pay money to anyone to help you write your name into the POLAC shortlisted candidates list because most of them are scammers. Do you have any question regarding POLAC? kindly use the comment box below to rite it own and we will respond as fast a possible. Don't forget to share this post with your family and friends using any of the social network icons below.